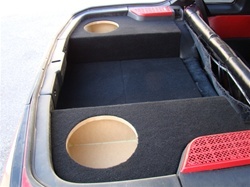 This listing includes 2-10" sub boxes for the 1990-1996 300zx 2+2 (4 seater only). One for each corner plus a carpeted panel that sits between both boxes locking them in place. No mofication of the car is needed. 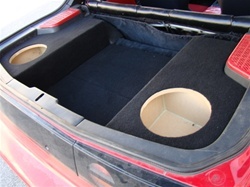 TTops will fit with boxes in the car.